Purchase a group plan and save money sending your team to Houston! 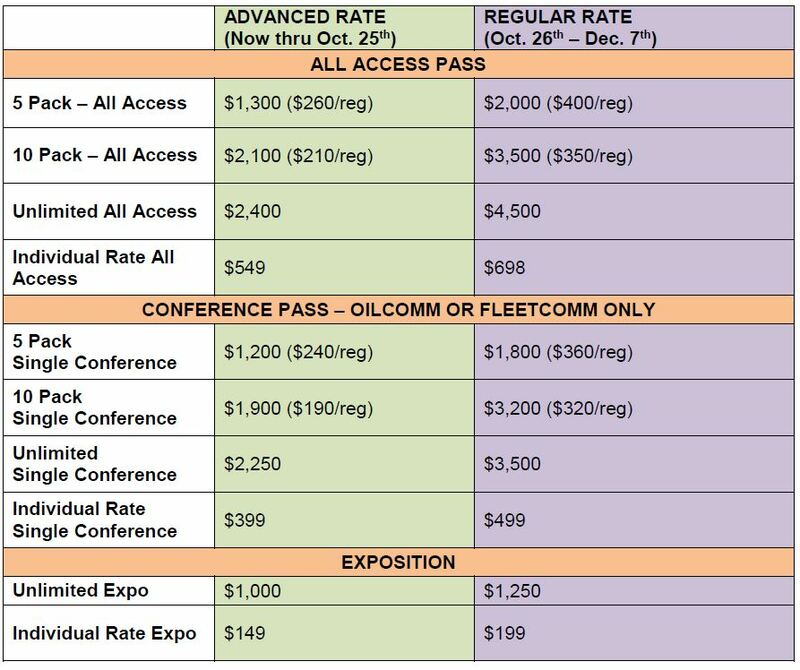 Discounted team rates are available to any company that sends 5 or more people to the conference and/or exposition. Hurry though, the sooner you sign up the more you save! Contact Jill Dean at +1-713-343-1880 or jdean@accessintel.com to start the conversation! All Group Packages include access to all networking activities on Wednesday and Thursday. To discuss a registration package that is customized to fit your needs, please contact Jill Dean at 713-343-1880 or jdean@accessintel.com. Group registration options are not limited to what is displayed above. We can work together to build a package that best fits your company’s budget and team goals.